The Suburban is a pre-Prohibition libation that was first served in the old Waldorf Astoria Hotel, now the site of the Empire State Building in Manhattan. A favorite cocktail writer, David Wondrich expounded on it recently and what caught my attention was his description: “This dark, rich and masculine pre-Prohibition classic…” How could I go wrong? According to Wondrich, the cocktail is named, not for the hordes of commuters taking trains from Penn Station, but instead the drink was named for a horse race, the Suburban Handicap that was run every June at Sheepshead Bay. Today the race is run at Belmont and I’m sure they serve a few of these very manly cocktails at post time. Combine and stir all ingredients with ice. Strain into a chilled cocktail glass and garnish with the lemon peel. I’m not sure if I like cocktails so much because of the way they taste, the way they make me feel, or simply because of their pithy names… This Prohibition favorite seems to address all three quite nicely. At first, I thought the mix of Grand Marnier and Sweet Vermouth was going to be too much sweetness, but surprisingly, the dash (albeit, a long dash…) of Lemon Juice makes for a well-balanced libation. Combine and shake all ingredients with crushed ice. Strain into a chilled cocktail glass and garnish with the lemon peel. In the immortal words of Ron Burgundy… I love Scotch! 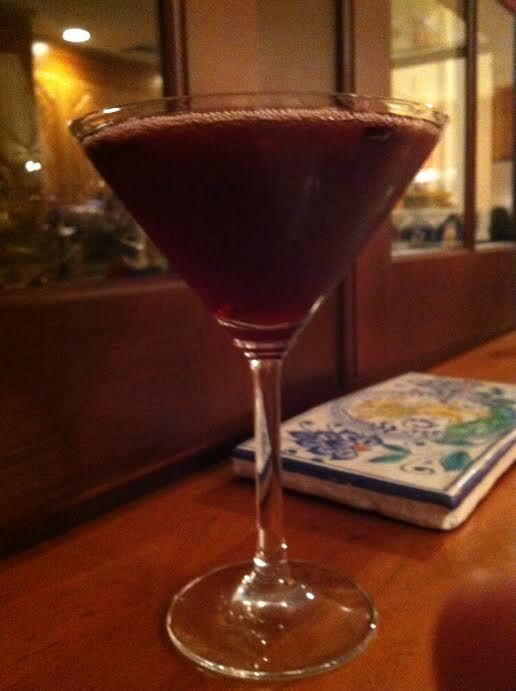 And, because I am a person who believes in equality and fairness, I also find myself loving other spirits too… like Gin. Imagine how happy I was to find that one of my favorite Scotch whisky distillers now produces a Gin called The Botanist! Yep… you heard me correctly. Bruichladdich, the “Progressive Hebridean Distiller” has crafted a spectacular Gin. Briefly, Bruichladdich is on the isle of Islay, which produces some of the most unique whisky in the world. I find that you either love the distinguishing peat flavor and briny iodine found in most Islay malt, or you simply don’t. Bruichladdich whisky has the definite soul of an Islay malt, but there is a purity and concentration that I find in no other whisky from the island. According to the marketing materials, The Botanist is a small-batch, artisanal Islay Gin, crafted from nine classic gin aromatics, and then augmented by the addition of twenty-two native Islay botanicals. The aroma and flavor profile are wildly complex, but not over-the-top – truly a very pretty Gin. The materials also speak to the distillation process – apparently an agonizing seventeen hour affair in a still that their head distiller Jim McEwan affectionately calls “Ugly Betty.” Betty prefers long, low pressure runs, which allows for a very long steeping with the botanicals that clearly accounts for the depth of complexity. It also must have a lot to do with the smoothness of the spirit. On the palate the Gin is remarkably rich and mellow with almost no bite or excessive heat. This is truly a sipping Gin that I found needed nothing, not even ice as an accompaniment. A light splash of spring water did loosen the nose a bit, but the palate is fine without it. I can only hope that Bruichladdich continues with their Islay Gin, it will make me a very happy man! I have long been a fan of Anchor Steam Beer… I think for a few decades I actually could boast having annually collected a bottle of their Christmas Ale – Always delicious with all the correct reminders of Christmas. Like most breweries, Anchor has a distilling operation, oddly enough called Anchor Distilling. 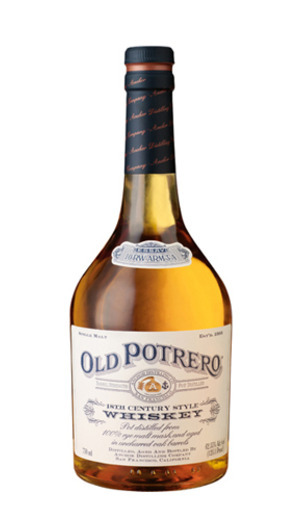 I have long enjoyed their Junipero Gin and recently came across their Old Potrero Whiskey, specifically the 18th Century Style Whiskey. I must say that I am very impressed. Anchor makes three versions of their Whiskey: Old Potrero Straight Rye, Old Potrero Hotaling’s Single Malt Whiskey and the 18th Century Style. According to the sales literature, the 18th Century Style Whiskey is Anchor’s attempt at recreating “the original whiskey of America.” The spirit was distilled in a small copper pot still at Anchor’s distillery on Potrero Hill (hence the name) from a 100% rye malt mash. The spirit is then gently aged in a mix of old and new oak barrels that have been lightly toasted over oak chip fires as opposed to heavily charred barrels a la Bourbon. 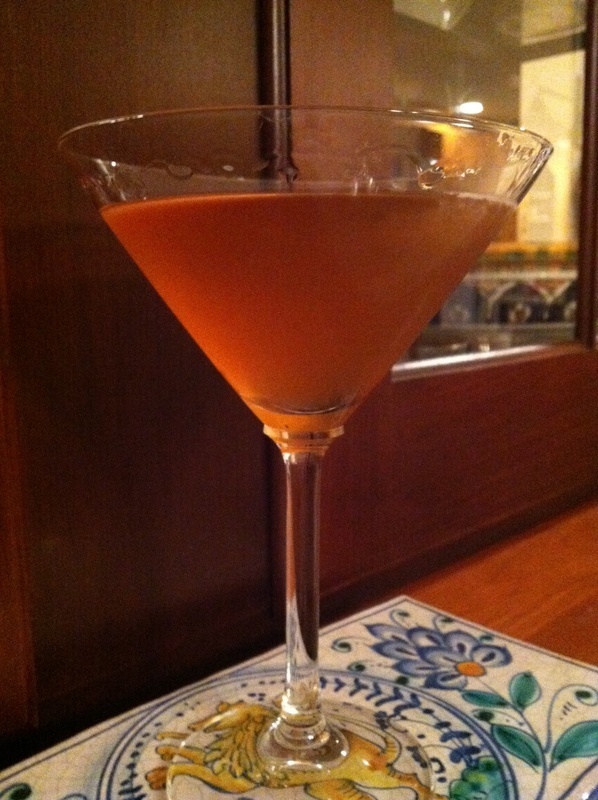 The result is a lightly-colored, delicately sweet whiskey that retains much of the malt-quality of the mash. I found this an ideal sipping whiskey that opened nicely with the addition of a splash of spring water. Based on the quality of the 18th Century Style, I will be searching out the other varieties. I sense, though that the limited, small batch production may make them hard to find in the main stream.